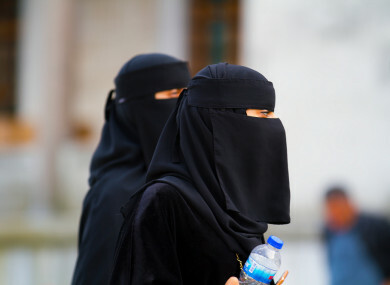 The Taoiseach said there are no plans to ban the wearing of the burqa in Ireland. TAOISEACH LEO VARADKAR has said Ireland will not ban the wearing of the burqa in public. His comments come after week-long protests in Denmark after it banned the wearing of face veils in public. Denmark’s parliament enacted the ban in May, joining France, Belgium and other EU countries. My view on it… I don’t like it but I think people are entitled to wear what they want to wear. I believe in the freedom of religion. I don’t agree with the doctrine of every religion or necessarily any religion, but I do believe in the freedom of religion. The Taoiseach said “religions make their own laws”, indicating that he would not be using his power to weigh in on such matters. “There is a big difference in saying what you think should be done and whether you are going to use the power of the law to enforce it,” he said. This is not the first time the Taoiseach has been asked about his views on religion. The Taoiseach has already said he does not agree with the Catholic Church’s policy towards women. He has also said he believes women should be allowed become priests in the Catholic Church and any other religious institution. Email “Leo Varadkar: 'There will be no burqa ban in Ireland'”. Feedback on “Leo Varadkar: 'There will be no burqa ban in Ireland'”.